Lisa Campbell is chief marketing officer at Autodesk, where she is responsible for business, industry and marketing strategy for the company. She is also responsible for driving brand affinity and loyalty among the current and next generation of Autodesk customers. Lisa has 25 years of software industry leadership experience with extensive knowledge in business and industry strategy in manufacturing, construction and infrastructure, digital go-to-market strategy, building brands, and business development. At both Fortune 500 companies and startups, Lisa has successfully partnered with leadership teams to transform brands, launch new products, and business models in the marketplace. Most recently, Lisa served as vice president of Design & Manufacturing, Business Strategy & Marketing, focused on the company’s business strategy and marketing for the manufacturing industry. 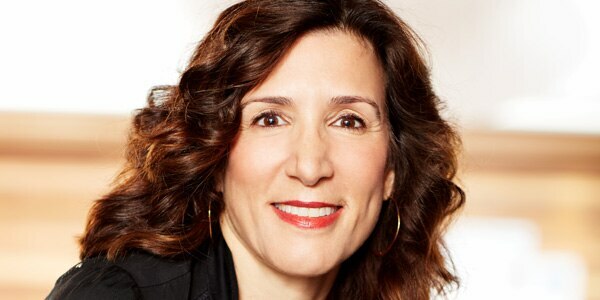 During her tenure, Lisa has held a series of leadership roles at Autodesk, including heading industry strategy and go-to-market for all of Autodesk’s industries and customer segments, as well as leading the architecture, engineering and construction and media & entertainment industry strategy and marketing organizations. She also held other key leadership positions including managing Autodesk’s Global eCommerce business and Autodesk.com, managing the Geospatial Business and infrastructure business for the company. Prior to joining Autodesk in 2003, Lisa served as the vice president of marketing and product management for Evolve (now Oracle) where she was responsible for all marketing functions for the Service Delivery products, including brand, market strategy, marketing communications, product marketing and product management. Additionally, she held executive-level marketing positions at Sterling Software Inc., and Digital Equipment Corporation. Lisa began her career as an IT professional and product marketing manager at Digital Equipment Corporation, which was acquired by HP. Lisa holds a B.A. in mathematics and computer science from Boston College and an M.B.A. from Babson College.